Midwest Speakers Bureau is your resource for booking Missouri based keynote speakers, trainers and entertainers. There are many benefits to booking a local speaker or one within driving distance. 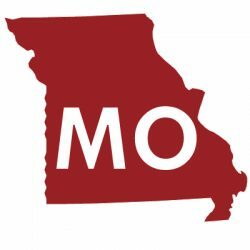 If you are looking for the following types of talent, we can you find local speakers based in Missouri. Manley Feinberg: Manley is recognized as an award winning international keynote speaker and business leader, author, published outdoor adventure photographer and professional musician. Leveraging more than twenty years of business, professional speaking and adventure experience, he helps professionals breakthrough mindsets to step up and reach their next summit. As a result of his work, people have more focus, courage, commitment and momentum. Click here for more information on Manley. Paul Long: Paul Long is a motivational speaker and consultant that has challenged the corporate landscape for over a decade while engaging audiences around the globe. As the MLB Kansas City Royals’ 2016 Fan of the Year, Paul’s shenanigans have been featured in media outlets like ESPN, the Washington Post and even the Wall Street Journal!! Through his concept of “Fundamism,” infectious spirit and unique take on F.U.N. in the workplace, Paul has provided memorable experiences at hundreds of events while championing pediatric cancer research. Paul’s keynote experience is sure to bring laughter, tears, and provoke thought to any event. So… are YOU ready to have some F.U.N.? Click here for more information on Paul. Scott Steinberg: Hailed as The Master of Innovation by Fortune magazine, #1-bestselling author Scott Steinberg is one of the world’s most celebrated business speakers, trends experts, futurists, and strategic innovation consultants, as seen in 600+ outlets from CNN to TIME and The Wall St. Journal. One of America’s top futurists (per the BBC); the author of leading bestsellers Make Change Work For You and Millennial Marketing; and among today’s best-known business strategy + leadership training providers, the Fortune 500 calls him a “defining figure in business and technology” and “top trendsetter to follow.” One of the world’s 150 most influential keynote speakers + futurists, he provides breakouts, training workshops and speeches at events, meetings and conferences on topics such as business, change, technology, leadership, communications, marketing, and more. Click here for more information on Scott. Candy Whirley: Candy Whirley is famous for her high energy enthusiasm, innovative training activities, and contagious sense of humor. She is a dynamic speaker dedicated to sharing over 20 years of her expertise to help professionals improve their job performance and achieve their personal goals. Candy is most known for her interactive keynotes and breakout sessions, whether the request is team building, relationships or leadership skills, her clients know the audiences will be interactive, energized and entertained! Click here for more information on Candy. Joel Goldberg: A native of suburban Philadelphia and Chicago, Joel Goldberg has worked as part of the Royals’ broadcast team for FOX Sports Kansas City since 2008, serves as the television play-by-play voice for the ECHL Missouri Mavericks, and also calls UMKC basketball plus other college hockey and basketball games. Joel has spent more than 20 years in television, developing and maintaining relationships with professional athletes, coaches, and team management. Click here for more information on Joel. Mitch Holthus: Mitch Holthus has been the “Voice of the Kansas City Chiefs” since 1994. He is the longest tenured play-by-play “voice” in franchise history. In addition to his play-by-play duties, Holthus also hosts the “Minute With Mitch” television series that is seen and heard in five states. Holthus also hosts the “Chiefs Insider” television show. Following the NFL season, Holthus is a television play-by-play talent for selected college basketball games. Click here for more information on Mitch. Kim Becking: Inspiring. Engaging. Riveting. Laugh-out-loud funny. Authentic. Highly entertaining. With a rare ability to connect at a deeper level with her audiences. Kim is a sought-after keynote speaker who leaves her audiences with a “Momentum Mindset” – ready to conquer change, take bold action, become more resilient, accelerate success and achieve more in their business, life and relationships no matter what life throws at them. Click here for more information on Kim.